The GMC Canyon is the most upscale entry in the mid-size pickup truck segment. 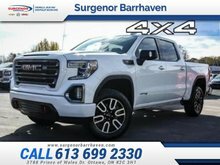 This 2018 GMC Canyon is for sale today in Ottawa. This 2018 Canyon is built for everything you do with the durability and premium detail you expect from a GMC pickup. Capable, versatile, and entirely refined, this mid-size Canyon balances power and technology in a design that is spacious and efficient. 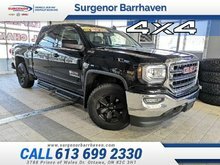 Whether you need a pickup truck for some occasional hauling or you just want a truck, this premium GMC Canyon fits the bill. It has almost as much capability as its bigger counterparts, but it's easier to maneuver, easier to park, and returns better fuel economy. 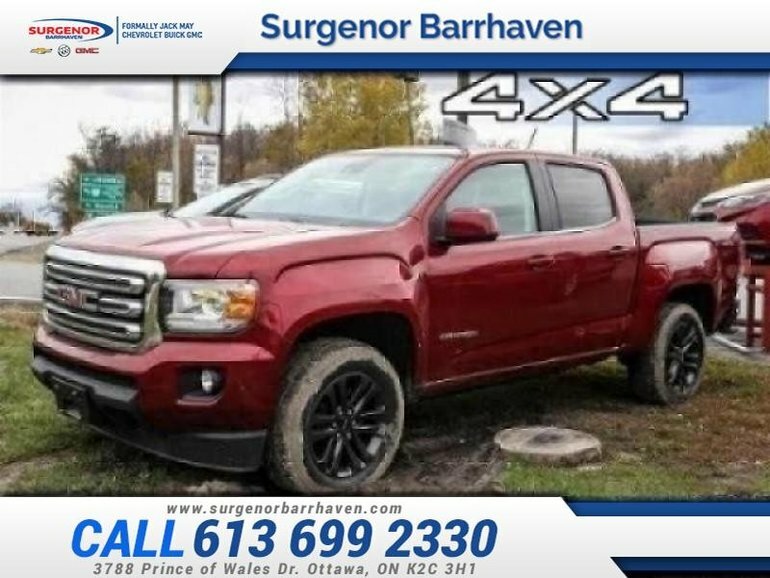 This low mileage crew cab 4X4 pickup has just 83 kms and is a Certified Pre-Owned vehicle. It's red in colour. It has an automatic transmission and is powered by a 3.6L V6 24V GDI DOHC engine. This vehicle has been upgraded with the following features: 18 Inch Aluminum Wheels, Driver Alert Package, Spray-on Bedliner, Driver And Front Passenger Heated Seats, Sle Convenience Package. It has a certified used vehicle warranty for added peace of mind. Our Canyon's trim level is SLE. 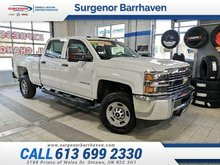 The SLE trim adds some nice features to this truck while remaining a great value. It comes with a color touchscreen radio with Bluetooth, SiriusXM, a USB port, and an aux jack, OnStar, a rearview camera, power mirrors, power windows, fog lamps, an auto-dimming rearview mirror, cruise control, and more. Buy this vehicle now for the lowest bi-weekly payment of $292.08 with $0 down for 84 months @ 6.99% APR O.A.C. ( Plus applicable taxes - Plus applicable fees ). See dealer for details. 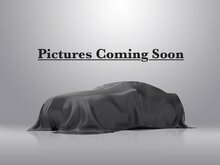 Interested in the 2018 GMC Canyon SLE - Certified - $292.08 B/W ? $42,844 * Plus HST and licensing. Freight & Fees Included.